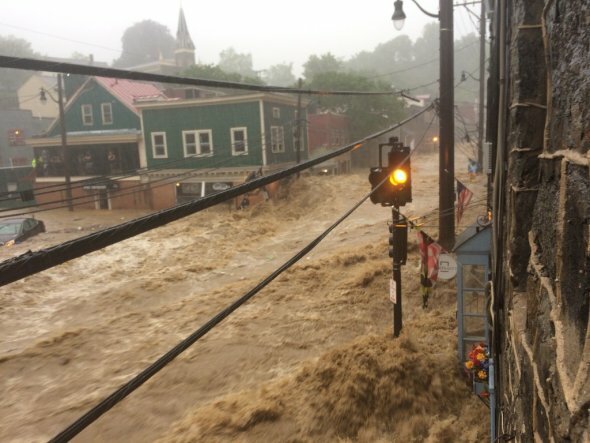 Over the weekend, the streets of Ellicott City, Maryland turned rapidly into raging rivers. Thunderstorms unleashed two months worth of rain in less than two hours. Main Street in Ellicott City, saw some of the worst of it. According to Accuweather buildings have collapsed because the raging water was above the first floor in some areas. 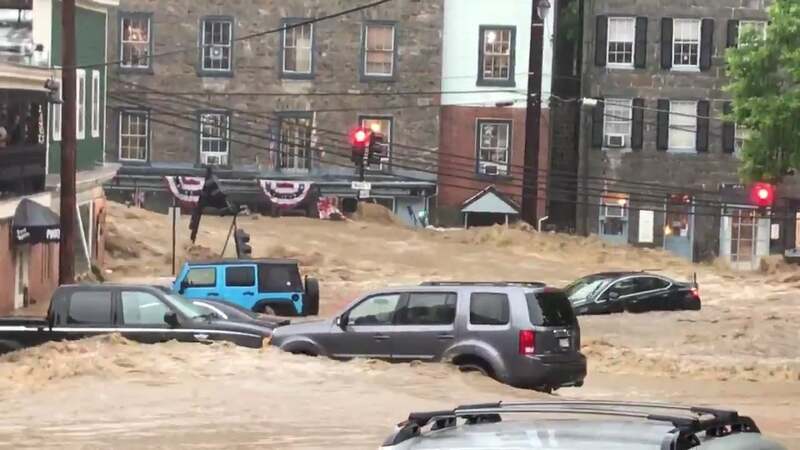 “At 6:33 p.m. EDT, catastrophic flash flooding was ongoing in the Ellicott City and Catonsville areas, with many areas seeing over five inches of rain,” the National Weather Service said. 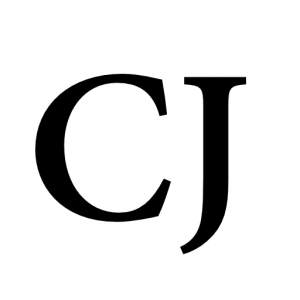 However, on Sunday at 6:10 pm EDT, 9.71 inches of rain had already fallen. Typically, the area receives only four inches of rain for the entire month of May. The anomaly caused the Patapsco River near Catonsville, Maryland to rise roughly 17.8 feet in less than two hours. What the thunderstorms unleashed set all-time high records at those locations.